“We are thrilled to bring Prima N202 to the market. This model maximizes run time, brightness and ease of portability.” states Katsaros, inventor and CEO of Nokero International, Ltd.
Nokero International, Ltd., the leading expert in solar powered renewable energy, will be unveiling its 9th solar powered bulb, Prima N202, at Aspen’s American Renewable Energy Day Conference held at Hotel Jerome located at 330 E. Main Street, Aspen, CO. 81611. Nokero is continuing to provide a better quality of life and economic opportunities for those without electricity with the launch of the Prima N202. Since its inception, Nokero has distributed their solar-based products to more than 120 countries worldwide, which has ultimately changed the way the world thinks about power and the use of harmful fuels. Designed as an all–in-one, the Prima N202 harbors an integrated solar panel, easy to use push button and rechargeable battery. The sleek and versatile design makes for a lightweight aesthetic as much as an all purpose unit. 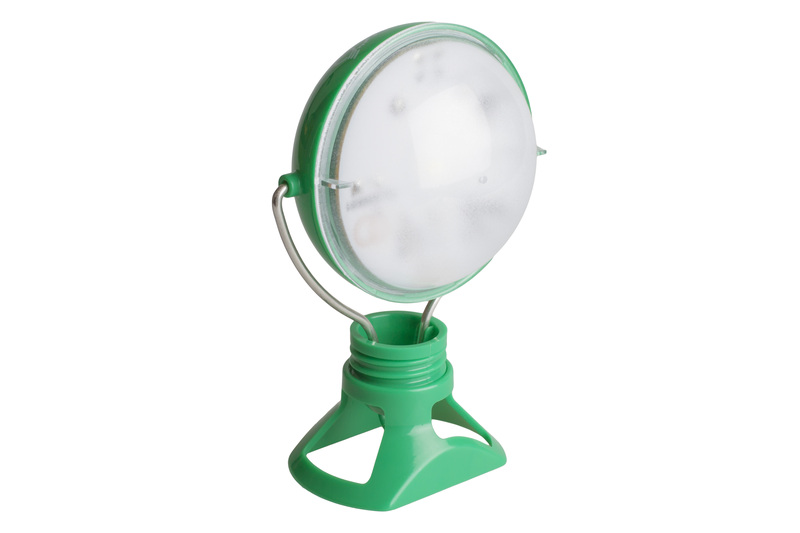 The Prima N202 uses the world’s most efficient solar panel and 180 lumens per watt LED light. The microcontroller enables the use of a pushbutton that toggles between Low/High/Off to improve ease of use and customer satisfaction. The Prima N202 provides 7+ hours on the Low setting and 3.5+ Hours on the High setting, after a full 5-7 hour daily charge in direct sunlight. Each light includes a removable stand and clasp for both task and overhead lighting options. Prima N202 will retail for $17.00 across the US market. 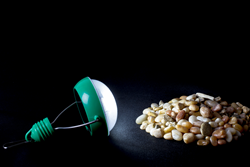 Nokero International, LTD delivers sustainable solar lighting solutions to families, businesses, NGOs, and public agencies. The name Nokero originates from the phrase ‘No Kerosene’ – evoking its mission to replace the harmful, polluting fuel with cleaner, safer, and more environmentally friendly renewable energy solutions. Founded in 2010 by inventor and CEO Steve Katsaros, Nokero is a privately held company headquartered in Denver, Colorado, USA with offices in Hong Kong and Kenya. See the light at http://www.nokero.com. 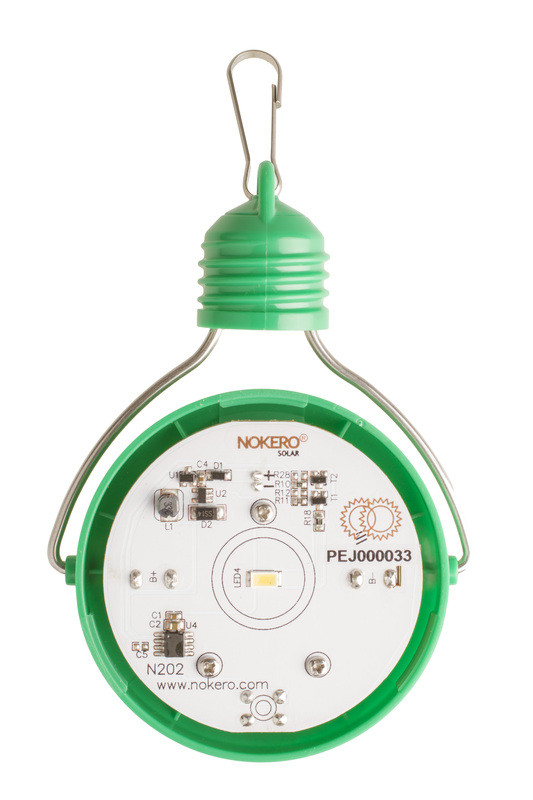 The Nokero Prima N202 features one high-efficacy Seoul Semiconductor LED to maximize brightness.The Nokero Prima N202 features one high-efficacy Seoul Semiconductor LED to maximize brightness. Each Prima N202 Solar Light comes with a twist-on stand for personal use.Each Prima N202 Solar Light comes with a twist-on stand for personal use. 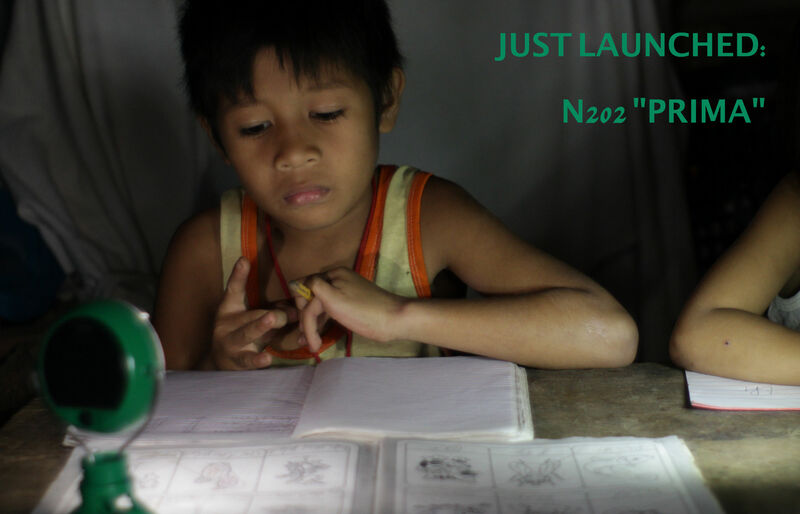 Christian uses his Prima N202 Solar Light Bulb to study at night in the Philippines.Christian uses his Prima N202 Solar Light Bulb to study at night in the Philippines.